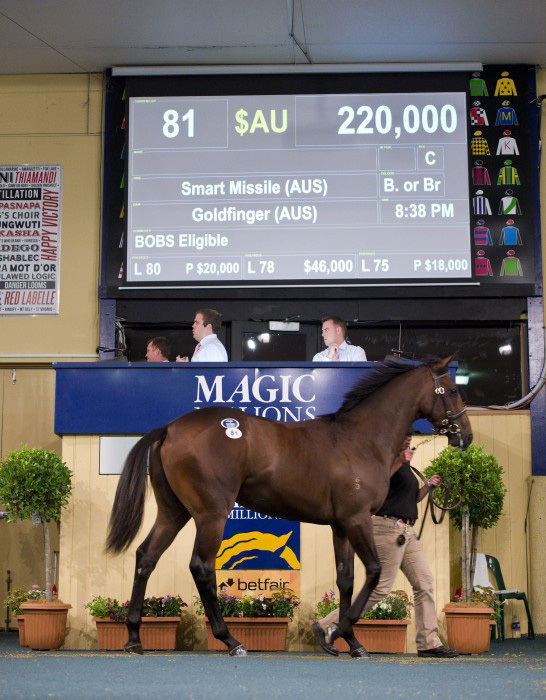 A cracking colt by exciting first season sire Smart Missile topped Day One of the Magic Millions Adelaide Yearling Sale at Morphettville on Monday night. 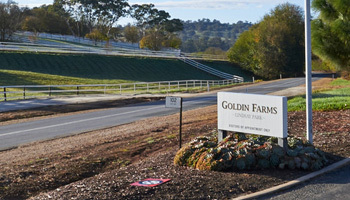 The colt was a history maker being the first yearling to be offered at auction by new South Australian based operation Goldin Farms – the former Lindsay Park property now owned by Hong Kong based businessman Pan Sutong. Leading interstate trainer Tony McEvoy purchased the colt for $220,000 after bids flew in from around the complex after bidding opened at $30,000 for the striking youngster. 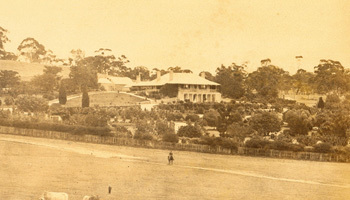 McEvoy said he was delighted to snare the prized lot and he would now be looking to find owners for the ‘spec’ purchase. 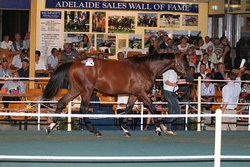 The colt was one of four youngsters to sell for six figure prices during the night session. The Al Maher-Hey Rosie colt, catalogued as Lot 87 for RJH Racing, was purchased by Phillip Stokes for $110,000 with the Morphettville based horseman hoping he can become another Hucklebuck – a former sale graduate purchased by the stable. A Choisir filly from Mill Park (Lot 11) was sold for $105,000 to the partnership of Mark Pilkington and Melbourne trainer Andrew Noblet. The other six figure sale was the $100,000 result for Rushton Park’s Artie Schiller-Heavenly Wonder colt who sold to Matchem Racing. All up over $2.34 million was traded on 67 lots sold at a clearance rate of 76.2 per cent with an average price of $34,940. Catch a video review of Day One of the sale here. To catch a review of today’s Magic Millions Adelaide 2YO Classic click here. To view the results of the sale so far or to make an offer on a passed in lot click here. 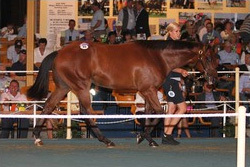 Day Two of the Magic Millions Adelaide Yearling Sale will commence at 10am (SA time) on Tuesday.